BitTorrent Sync, a torrent-based alternative to file-sharing in the cloud, is getting some notable upgrades for developers and businesses with updates to its API and a new partnership with OneHub. You can now create custom reports on Sync status across multiple devices, send notifications when files arrive on a device, create alerts when devices are not available and more. 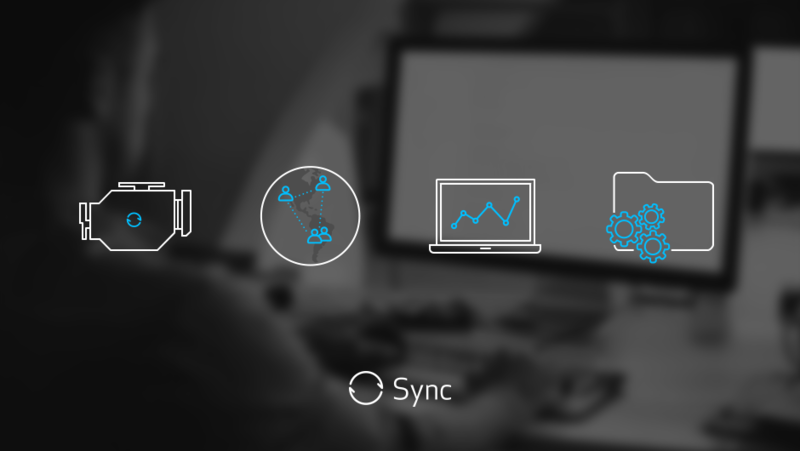 Almost all of Sync’s features are available through the API, so developers can automate actions like generating share links or moving data between servers as required. There are still two tiers: a free offering allows developers and administrators to test Sync with their tools, while the paid API has a stronger set of features and better support intended for live-business settings. Developers can read more on the API at BitTorrent’s FAQ or get right to work by downloading right from BitTorrent’s API page. For enterprise customers, BitTorrent has partnered with OneHub — a cloud storage service for businesses – to provide a unique storage offering against cloud-only competitors like Box and Dropbox. Onehub Sync solves one of the biggest issues with standard BitTorrent Sync via an approach called Peer-to-Peer+One. With the standard version of Sync via peer-to-peer networks, you have to make sure at least one computer is connected to Sync to share files; I can easily retrieve something from my work computer on my laptop, for instance, but I’d have to remember to leave my work computer on or else set up a central server with all the files I need. Onehub’s role is essentially to provide that always-on server in the cloud, making sure there’s always a peer that can provide adequate speeds for file-sharing. This hybrid approach combines the best of two worlds. The peer-to-peer aspect allows Sync to choose the quickest route to deliver files. Whereas on a cloud-only approach you’d have to first upload a file to the cloud before the recipient could download it, Sync could choose to send it right through your local network if working from the same office. Meanwhile, Onehub’s persistent peer makes sure all files area automatically updated with the latest versions from collaborators, and that there is always one peer with adequate bandwidth to handle sharing to multiple computers. Onehub also claims it provides bank-level encryption from all your files, while tracking who is accessing each file and allowing you to set sharing permissions. OneHub Sync is free to try starting today. After the 14 day trial, you can sign up for one of two tiers: the cheaper one will cost $29.95/month tier with 1TB of storage for small teams, or a you could pay $99 per month for unlimited storage and larger teams.